Today we will speak about greek mediterranean diet. Greek cousine is a type of the mediterranean diet and uses high quantities of vegetables, rich in fiber, minerals and antioxidants very important for our health, and extra virgin olive oil, with anticancer properties. In this article I will describe a very tasty recipe of greek cousine: briam, a dish made with eggplants, zucchini and onions. 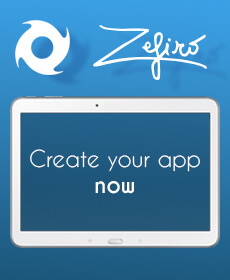 Try to imagine: you are in a greek restaurant, a taverna, so greek people call their restaurant, you sit on a chair in front of the blue greek sea. 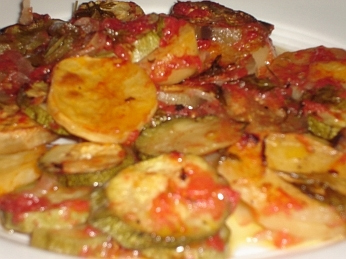 Wash the zucchini, the eggplants, the green peppers and the tomatoes and cut them into slices. Slice also the onions , peel the potatoes and cut it into pieces. Put all in the baking dish, add the parsley, salt, pepper and olive oil. Mix all the igredients. Put in the oven and bake at 135°C for about 2 hours. Add water if necessary. If you want a more light dish of the mediterranean diet try not to use the potatoes, your briam will be in any case very tasty.